Call (954) 271-2775 Today to Redeem! At Watson's Painting & Waterproofing Company, we know choosing a painting contractor is a tough job. So we try to make it easier. Simply pick up the phone and call! We'll be happy to answer any and all of your questions, and if you are ready to move forward, we can provide a free quote. Watson's Painting & Waterproofing Company has been painting Deerfield Beach, FL and surrounding towns since 1996. With each new painting project, whether house painting or commercial painting, we strive to provide professional, timely, service at a fair price. 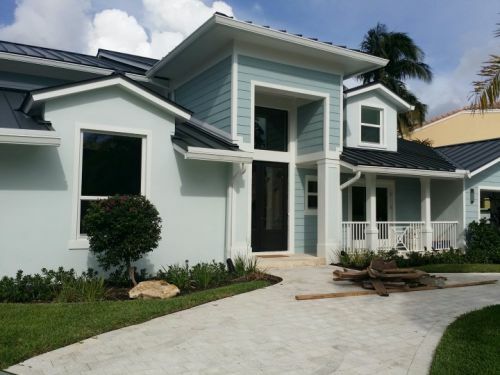 For home owners looking for house painting in Deerfield Beach, FL, whether interior or exterior, Watson's Painting & Waterproofing Company's trained painters have years of experience in doing the job right. Have a problem with paint bubbles or premature cracking? We can fix it. Paint bubbles form when moisture gets behind the paint, often originating from the inside of your home. We can fix that by adding tiny spacers to separate exterior siding and allow the moisture to escape. Inside your home, we can paint with latex, oil, or specialty paints. We generally recommend latex paint for interior painting as it affordable, easy to clean-up, and contains fewer hazardous ingredients. However, for a hard tough durable finish, oil paint may be the right choice, though some brands of latex paint are now as durable as oil. Naturally, staining is not much different than painting, and Watson's Painting & Waterproofing Company's painters are also expert stainer. Whether you are looking to have your trim and moldings stained a natural wood color in your Deerfield Beach home, or perhaps have furniture or cabinets stained, or even have your Deerfield Beach deck power washed and waterproofed with a premium UV resistant mahogany or cedar stain, Watson's Painting & Waterproofing Company can do it. Watson's Painting & Waterproofing Company has many years of experience brightening lives by painting condo interiors. 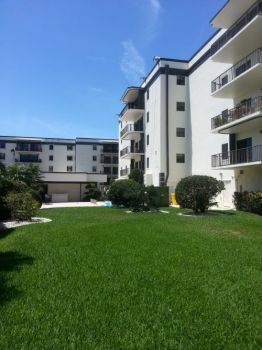 Moving into a new apartment in Deerfield Beach? Watson's Painting & Waterproofing Company will be happy to add a fresh new layer of paint on the walls and ceiling and make your new apartment look new. No need to spend the next few years living with old faded paint or with someone else's color choice. Paint it your way, with your colors! Want to increases sales and motivate employees? Paint your Deerfield Beach store or office. Painted walls and ceilings slowly dull over time going from the new bright happy look to drab lifeless uninspiring hue. 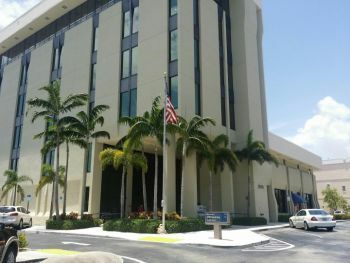 Watson's Painting & Waterproofing Company works with Deerfield Beach business owners and office managers to send in painters after hours or on weekends so as not to interfere with customers or employees. We've been doing it since 1996. 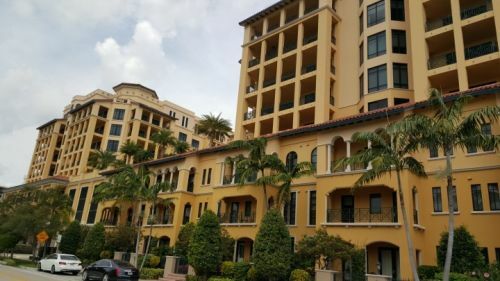 For larger institutions near Deerfield Beach, Watson's Painting & Waterproofing Company has enough skilled painters in Deerfield Beach to paint your facility, regardless of whether its interior painting, exterior painting, or specialty painting, such as painting machines or painting factory floors. 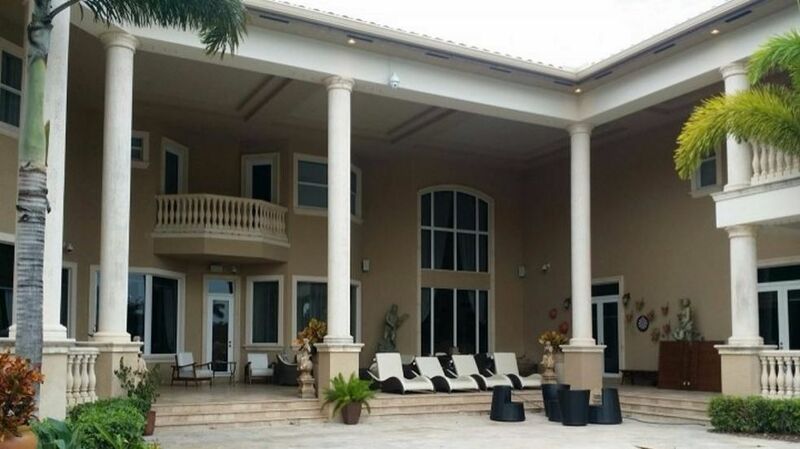 Watson's Painting & Waterproofing Company's painters will paint your Deerfield Beach house and make it look new again. We use proven durable paints than will protect your home's exterior against UV and harsh heat or cold. And we can paint walls any color you'd like, leaving your life brighter and you feeling rejuvenated! Leave the work to Watson's Painting & Waterproofing Company while you unwind week nights or weekends. Our commercial painters can arrive just before you leave, and will tidy up and lock up, so that when you arrive the next morning, your store or office is ready for business. Imagine how much happier customers and employee will be. Like so many other Watson's Painting & Waterproofing Company customers, you'll be glad you met us. Our work is guaranteed, and your satisfaction with your new paint job is our #1 goal. Watson's Painting & Waterproofing Company, proudly painting Deerfield Beach, FL and surrounding towns since 1996. Premium Professional Painting in Deerfield Beach and surrounding towns. Licensed, Insured, Proven Deerfield Beach Painting.